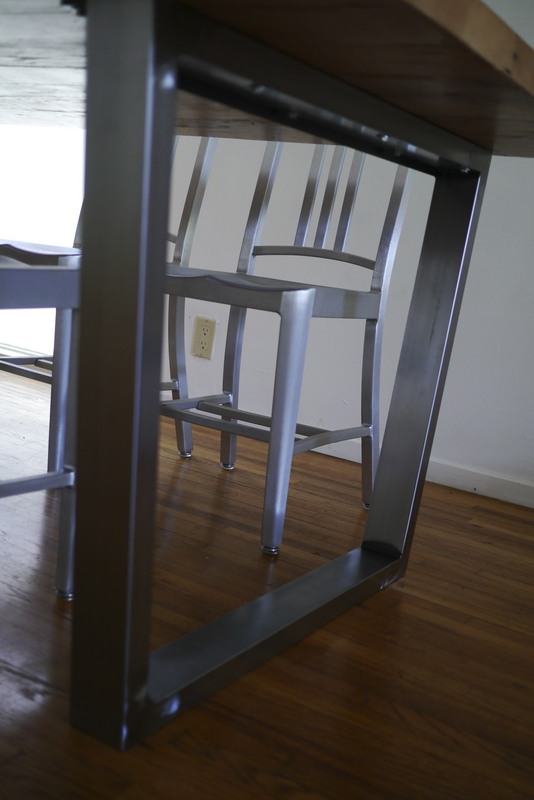 This weekend I wrapped up my modern dining room table project by installing the legs. 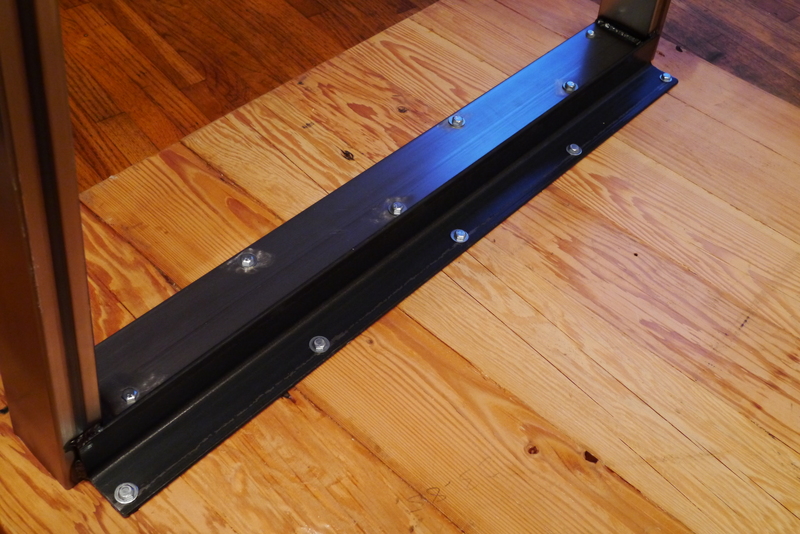 Rather than 4 individual legs, I chose two trapezoid shaped metal frames on each end. 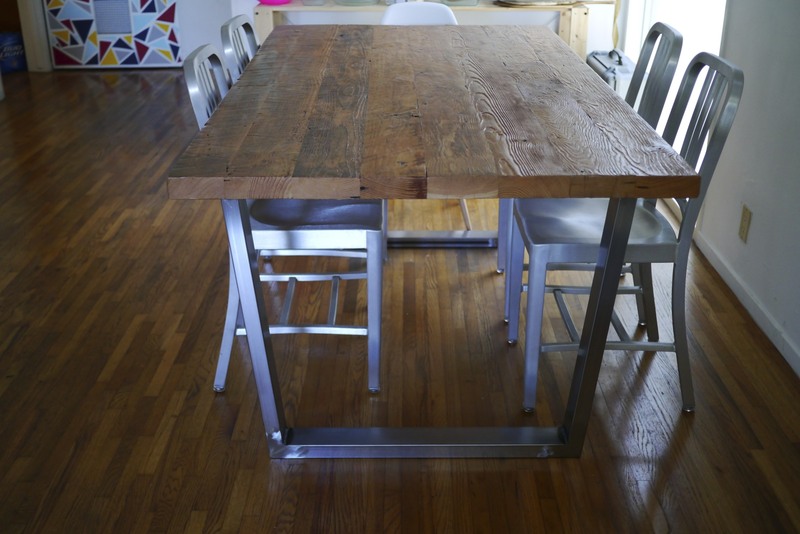 This table won’t have an apron, which gives rigidity to a table. 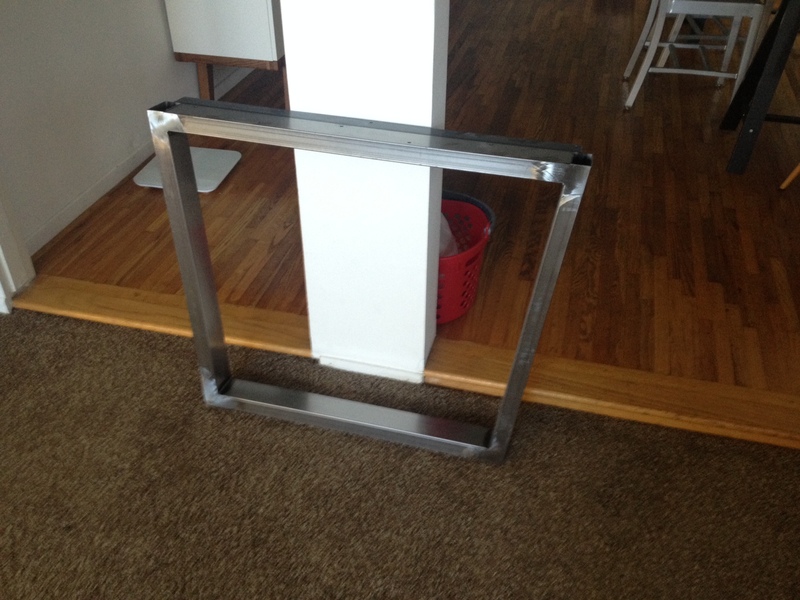 Think of the point where the table attaches to the legs as a hinge. The further away from the hinge that the leg is supported the more rigid the connection, so apron = good, stretcher = better. 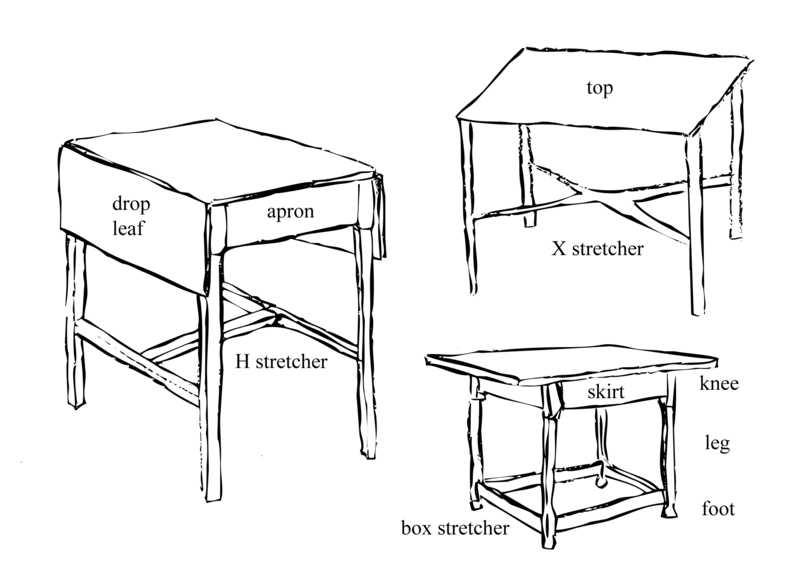 With a leg configuration like I have you’d normally need a stretcher between the legs to prevent the table from wobbling side to side. 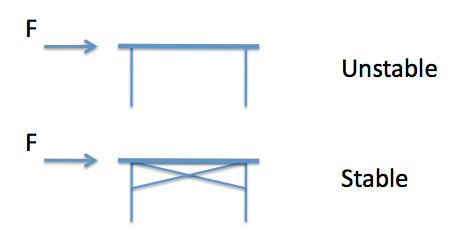 How to make a stable table. able. I wanted some contrast between the legs and the warm natural look of the reclaimed wood table top. Rather than paint the legs I had them clear coated, allowing the welds and tube seams to show through. I need to put some felt pads under the legs to protect the floor, but other than that I’m going to call this one done.